Report a Scam, Get Back at Those Cheaters Today! 24Option is a SCAM Broker? Not Your Usual Review! BDSwiss Review, Is Banc De Swiss a SCAM or Legit Broker? NADEX Review, SCAM or Legit Exchange? Will the REAL Binary Options Robot Please Stand Up! 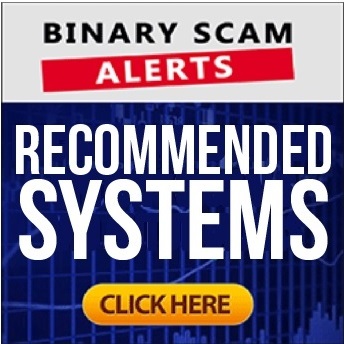 Binary Scam Alerts Exclusive: Trader Getting Scammed By Big Option Live Recording! Happy 4th of July and a Personal Message from Patrick! Forex Robot Review, Scam or Legit ForexRobot com App? SrS Trend Rider 2.0 Review, SCAM Or Legit Forex Robot? Wall Street Forex Robot 2.0 Evolution Review, SCAM WallStreet Software? Honest Forex Signals Review, Scam Forex Signals Are Dishonest? FX Sniper Review, SCAM FX Sniper Software Exposed! Swiss Bot by Anna Forex Review, SCAM Swiss Robot Exposed! Signal Snipe Review, SCAM Forex Signals Sniped! Forex Maverick Review, SCAM Maverick App Exposed! Forex Cyborg Review, SCAM Forex Cyborg Exposed! Manhattan FX Review, SCAM Manhattan FX Robot Exposed! Apiary Fund Review, SCAM Or Legit Apiary Investment Fund? Stabilis Lucra Review, Stabilis Lucra SCAM Exposed With Proof! Social Trading, SCAM or Legit Way to Make Money? eToro Review, SCAM Social Trading and Forex Platform Or Legit? Bitcoin Review, SCAM Cryptocurrency or Legit Way to Make Money? 5 Simple Bitcoin Trading Strategies To Help Get You Started Making Money! BTC Robot Review, SCAM Bitcoin Robot Exposed Or Legit? Crypto Robot 365 Review, SCAM Cryptorobot 365 Clone Exposed With Evidence! Bitcoin Code Review, SCAM Bitcoin Code App Exposed! Bitcoin Code Review, How Does The Scam Work? Bitcoin Millionaire Review, SCAM Bitcoin Millionaire Exposed! Bitcoin Pro Signals Review, SCAM Bitcoin Pro Signals Blacklisted! Auto Crypto 247 Review, SCAM Auto Crypto 247 Exposed! Bitcoin Trader Review, SCAM Bitcoin Trader Is a Cryptocurrency Fraud! Bitcoin Loophole Review, Malicious Crypto SCAM Exposed! Ethereum Code Review, Scam Ethereum Code App Exposed! Crypto System Review, Fake Crypto System SCAM Exposed! Duplicate Dave Review, Viral MLM SCAM Exposed Or Legit? Regulated Brokers Cloned By Fraudsters – Dangerous Scam Alert! Tai Lopez SCAM Review, 67 Steps SCAM By Tai Lopez Exposed?! 10 Minute Millionaire Review, SCAM By D.R. Barton Or Legit? Maximus Edge Autobot Review, SCAM Maximus Edge App Exposed? Binary Scam Alerts » Scam Reviews » Maximus Edge Autobot Review, SCAM Maximus Edge App Exposed? Welcome to our Maximus Edge Autobot Review and SCAM investigation. It seems this new semi-automated trading software by Max or “Maximus” has just been launched, and we have already received multiple complaints (some still unverified) and quite a few queries asking if Maximus Edge Autobot is SCAM or a legit and genuine trading software. First, we have to send out a warning to our members and viewers. This system reportedly operates in the form of a Forex EA (Expert Advisor), but also advertised as a semi-automated binary options app. So if you are a bit confused you are definitely not alone, because most of the queries we received were from people who didn’t know how to proceed or what to do. In other words, they felt the app was not intuitive or user friendly. Secondly, you should be aware that there is a lot of hype and a big network of affiliate marketers promoting this system and publishing Maximus Edge Autobot reviews on their blogs which may be construed as misleading or deceptive. Now usually and under normal circumstances I would say run like the wind, but this is a different situation as we are in the middle of our testing phase and initial findings show mixed results with minor gains so far on the Forex Binary Options app, so we are very careful about blacklisting the Maximus Edge Autobot at this point.However, we are leaving our doors open to feedback and asking our members to leave a comment below this review if you have deposited with Maximus Edge Autobot and lost your money or had it stolen by thieving brokers. If you wish to test this system out yourself and risk your money we won’t stop you, just advise you to risk the absolute minimum amount of money (usually $250) and stay super alert about the brokers you are dealing with. 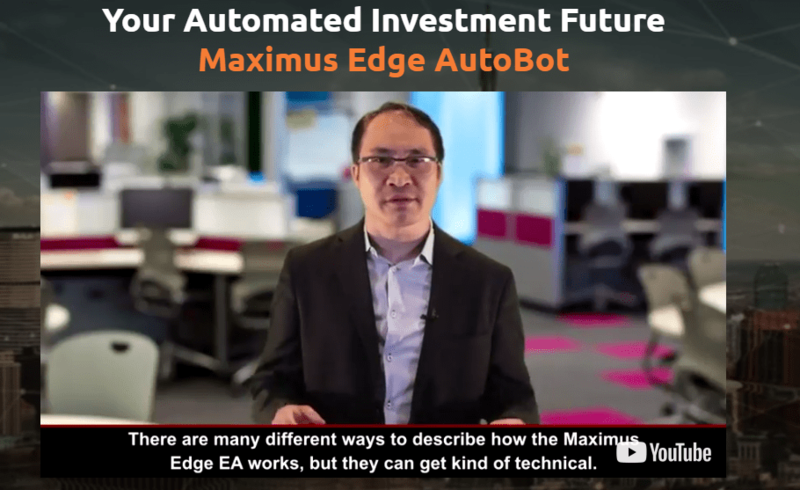 Keep reading our Maximus Edge Autobot scam review to get additional insights about this system and make an informed decision before jumping on this gravy train. Quick Update: Based on feedback and losses we incurred we are revising our initial findings. The Maximus Edge Autobot SCAM is a fraudulent trading app which stole our money. We are more than disappointed and extremely angry. We hope our Maximus Edge Autobot Review will help shed light on this filthy software and expose the crooks and dirty affiliate marketers behind it. As much as we tried we could not find the person who is behind this software. We did find a few clues leading us to the initial conclusion that we may be dealing with a SCAM. This is just a part of the puzzle and this piece simply does not fit. We are obviously looking at a nameless actor who is getting paid to present a narrative which was written for him. Just saying Max or Maximus is not enough and creates a heightened level of suspicion in an already high risk online trading environment (not smart). Confusion – that is the best way to describe this software. It is presented to us as an Expert Advisor, which is a term reserved solely for Forex. But in reality we are looking at a binary options app. From an operational perspective you are being invited to try out a semi-automated system, so if you are looking for a fully automated trading robot (AKA bot) you can just continue searching our site to find a reputable software. The Maximus Edge software apparently utilizes specific trading and investment strategies. For example risk reversal, straddle, and hedging trades. All of these built-in strategies are used to increase profit an minimize risk while exploiting ripe market conditions. For example, straddle attempts to generate more signals based on volatility and market fluctuations while hedging is used for more conservative trading opportunities. It’s worth pointing out that the charting features of this software are a cut above, and we have seen all kinds in this business. They complement the technical analysis indicators perfectly, but if you really want to understand it you need to be a bit resourceful and have an intuitive grasp of trading, otherwise it will confuse you and you will get annoyed and frustrated. How Does the Maximus Edge Autobot Work and What Are The Best Settings? Practical trading with Maximus Edge utilizes as much as 5 technical indicators. Starting with RSI (AKA Relative Strength Index), Fibonacci retracements, Bollinger Bands, and MACD which is actually the strategy sRs Trend Rider 2.0 employs to achieve results. The signals come in based on the indicators you choose, and then you simply approve the trade or skip to the next one. And since it is semi-automated the trades which are executed are based on the selected fundamentals of day trading. On a side note, if you need further or detailed information about Forex or Binary Options technical indicators, please contact us and we shall be more than happy to assist. We do see some of it for sure, but 84% ITM Ratio (Success Rate) is very conservative. Especially in binary options and particularly if you accept bonuses (so just don’t). We didn’t see the usual inflated bank accounts and exaggerated claims of easy money. But we do lack a certain degree of transparency and some real proof of winning trades from the brokers trading history section. No, this system will cost you at least $250 to get started with and that money will be charged to you by the broker you select which may or may not be regulated. Maximus Edge Autobot is still in the process of being evaluated so if you see any review which attempts to glorify this app and hailing it as the “next big thing”, you can be sure this is an affiliate ,marketer getting paid on the back end. The hot scams to avoid now at Bitcoin Code and Quantum Code by Michael Crawford. If you are a bit hesitant and not quite sure about how to proceed then you are not alone. Our staff or diligent researchers has combed the internet and was able to compile a short yet reputable list of profitable cash machines. These apps are proudly displayed in our recommended section. Review Summary and Conclusions -Maximus Edge Autobot Scam or Worthy? Trade Fusion and Timothy Marcus is a Not Just Another Scam – Warning! Lie Detector Millionaire is a Scam, Don’t Believe the Fake Reviews! Disrupt Trading Review, SCAM is Confirmed! Kiyosaki Formula Review, SCAM Robert Kiyosaki Formula Exposed! 8 Binary Robot Review, SCAM 8 Binary Robot Exposed! Binary Robot 365 Review, Deceptive SCAM Exposed! Free Money System 2 Review, Walter Green Scam is Back! Wealthy Trader Review, Scam Wealthy Trader Software Exposed! Tesler App Review, How Does The Tesler SCAM Work? Tesler App Review, Malicious Scam Exposed With Proof! Blazing Trader Review, Blazing Scam Exposed! Infinity App Review, SCAM Infinity App Exposed With Proof! Auto Binary Signals Review, SCAM Or Legit Signals App? QProfit System Review, SCAM QProfit System Exposed! Finpari Review, SCAM Finpari Broker Or Legit? Option Robot Review, SCAM or Legit Cash Machine? Automated Binary Review, SCAM or Automated Cash App? Binbot Pro Review, SCAM or Binbot Cash App? BetOnFinance Review, SCAM Or Legit Bet On Finance? Swarm Intelligence Review, SCAM or Intelligent Swarm of Cash? SnapCash Binary Review, SCAM or Cash at a Snap? Tradioneer Review, SCAM Trading Bot or Legit App? Join the Binary Options Anti-Spam Movement, Fight for Change! Quantum Code SCAM Review, Withdrawals Declined by SCAM Brokers!